We are very happy and proud to announce that starting from 2016 on, the International Conference on “Managing Intellectual Property in Universities” which became a traditional event in Boğaziçi University, will now be organized with the meritorious contributions and collaborations of both Koç University and Middle East Technical University and this strategic collaboration of the three esteemed research universities of Turkey will continue on an annual basis. “IP Management @ Universities” (IP2016) international conference will be hosted again at Albert Long Hall, Boğaziçi University, Istanbul this fall on 13th and 15th October, 2016. “IP Management @ Universities” conferences are always organized also in cooperation with the World Intellectual Property Organization (WIPO), a self-funding agency of the United Nations (UN) with 187 member states; European Patent Organization (EPO), an intergovernmental organization that was set up on the basis of the European Patent Convention (EPC) which serves 38 member states; the Turkish Patent Institute (TPE), an independent legal entity of the Turkish Ministry of Science, Industry and Technology. This year’s conference will focus on “Best Practices: Creating a Sustainable Technology Transfer Ecosystem”, and we are honored to have Thomson Reuters (TSE:TRI), Innovation Insights, Ulysses Advisory Group, European Investment Fund (EIF), GE Ventures (GE), Ankara Patent, Ford Otosan, Tüpraş, Aygaz, Accelerating The Commercialization of Technology (ACT) ODTU-TEKNOKENT, Yalçıner Patent, Destek Patent and Boğaziçi University Alumni Association Business Angels (BUBA), Boğaziçi University Alumni Association (BÜMED) and Ortaköy Princess Hotel as the main sponsors of our conference. After Boğaziçi University Rector Prof. Gülay Barbarosoğlu’s welcome speech and the opening remarks of Elginkan Fundation’s GM İlhan Uttu, the Turkish Minister of Science, Technology & Industry Faruk Özlü will commence this year’s conference. As it was the case in the previous IP Conferences, the first panel is always devoted to discussing international, regional and national strategies of public institutions on “The Role of TTOs in Enhancing Academic IP Commercialization on International, Regional and National Scale”. This will be followed by EIF Panel where the role of “Technology Transfer Accelerator (TTA) Funds” will be discussed with specific focus and updates on the three newly established Turkish TTAs as well as sharing experience and insights from a global fund, namely Atlantic Bridge Capital. Four different panels will be focusing on unique cases and successful best practices across the globe, namely; European, Americas, Asian, African, and Middle East. Each panel will have experienced experts and executives from the respective fields and regions to highlight their unique “Entrepreneurial Ecosystems”. GE Ventures (GE) will have their own panel on “Innovation & Entrepreneurial Ecosystem”. 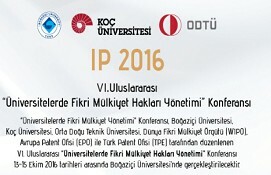 Ankara Patent will host the panel on “IPR & Legal Matters” with CEO of LES International Chris Katopis attending. Boğaziçi University Alumni Association Business Angels (BUBA) will host a panel on “Incubation Centers & Entrepreneurial Ecosystem” with specific focus on the newly established Turkish incubators in the USA. Early in FY2016, Turkey has switched to 4,5 G in its mobile operations, and while issuing new licenses to existing GSM Operators, the Turkish Government has dictated that a certain percentage (up to %40) of the technological infrastructure investments must be %100 domestic/national products. Needless-to-say, this has sphered an R&D boom in both public and private sector manufacturing network & communication products. This trend will likely continue at an accelerated pace as we switch to 5 G in the future. We will have a unique panel on “How government policies will contribute in establishing a sustainable technology transfer ecosystem” in Turkey, and journalists, academicians and industrialists will discuss the social, economic and cultural ramifications. Another unique panel will be focusing on “TTOs’ Assessments” where we will discuss best practices, the needs, and capacity building. IP2016 will conclude with the closing remarks of the GMs of Boğaziçi University, KOÇ University and Middle East Technical Universty TTOs. desiBel Ajans and Boğaziçi University Students’ Computer Club (Compec) have all contributed in the preparation of this year’s annual conference, and we would like to extend our sincere thanks and appreciation to them. IP Management @ Universities 2016 Conference will also host three unique and different workshops and trainings. 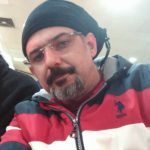 Dr. Nir Ben Lavi (Adzies) will conduct a unique one-day workshop titled “Systematic Innovation (SI) Master Class In Action” on October 12th at the Rectorate Conference Hall. This workshop is designed for industrialists, investors, R&D and “C level” executives of companies. On October 16th, Sunday LES Turkey will conduct “LES 100 Training “IPR and Commercialization of Technology through Licensing” workshop at the Rectorate Conference Hall. Except LES100 workshop (which will be in Turkish), all these courses will be conducted in English, and are based on case studies and workshops and are all subject to an admission charge; and therefore registration is required. Check the conference website’s relevant pages for both information on the course content, the CVs of the instructors and the registration process.